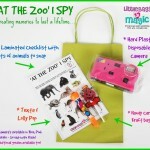 I SPY games are fabulous for all ages and will produce keepsakes that the kids (and grown ups) will treasure for years to come. Dramatic play is an extremely valuable part of the daily curriculum, it allows for relief from emotional tension, allows children to feel powerful, and sorts out fantasy from reality. Social – dramatic play encourages children to put themselves in someone else’s shoes. Such role-playing helps them to improve their ability to do this in real life. They learn important social skills, such as empathy. Language – dramatic play encourages expressive language. Children are motivated to convey their wishes to others and speak from the perspective of their pretend roles. In fact, it is often through dramatic play that shy or withdrawn children first begin to express themselves through language.